Create a live tool which can serve as the major point of reference and contact to Dual Disorders related professionals. 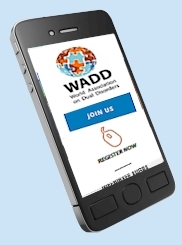 Increase the awareness of Dual Disorders worldwide and offer a platform for all Dual Disorder professionals. Promote the research on Dual Disorders. Promote the dissemination of information on Dual Disorders among health professionals, government and the public at large. Give voice to and represent professionals in the Dual Disorder area by providing information and scientific knowledge. Reduce the stigma related to Dual Disorders.